One of my earliest memories as a comic book connoisseur (I say with an air of ironic self-awareness) is of watching the Pryde of the X-Men animated pilot on VHS. While the series itself only had one episode, it served as an important introduction to an uncanny force for good that would change my life. No, I’m not talking about the X-Men — though they’re pretty neat — I’m talking about Stan Lee, who charmingly introduced the cartoon and intrigued my imagination. Who was this charismatic voice speaking to me? How did he know so much about the X-Men? Why was his presence so effortlessly endearing? If only I knew then what an impact he would make on not just my life, but the lives of countless fans and the entire comic book industry. Stan Lee was an icon who reshaped the entire comic book industry. Through his landmark writings at Marvel, he helped build a universe of mind-expanding possibilities. Alongside phenomenal collaborators such as Jack Kirby and Steve Ditko, Stan created a modern mythology that changed Marvel Comics into a juggernaut of the entertainment industry. So much of what made Stan Lee special was his ability to see what makes people special. 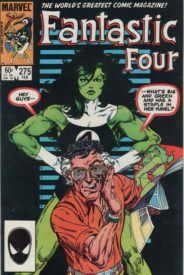 While other publishers were focused on creating characters with limitless potential and a sense of moral righteousness, Stan embedded flaws into all of his creations as a way of making them more human. The X-Men were outcasts, rejected by society for being different in ways they couldn’t control. Iron Man was an industrialist who needed to protect the world from the dangers of his own technologies. Spider-Man was just a geeky kid from Queens who learned the hard way that with great power comes great responsibility. These faults were weaved into the fabric of the Marvel Universe and resonated with an audience that found heroes and characters that they could identify with on a profound level. One of the other great strengths of Stan Lee was his ability to adapt to a changing world. He had a sharp understanding of society’s natural evolution, and he always worked diligently on creating a diverse playground for readers to enjoy. Stan imbedded the Marvel Universe with more than just the adventures of prototypical super heroes. 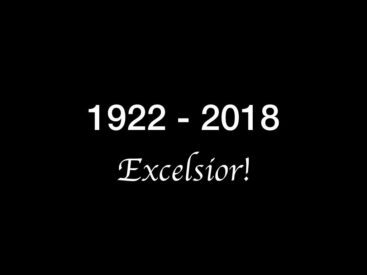 He gave us heroes like Black Panther, Magneto, Falcon, and Black Widow, who defied the perceived cultural and societal norms of the time by having intricately woven backstories and characterizations. These characters created a foundation for a better tomorrow, and opened up doors for even more diverse creations in the years to come (Many of which he oversaw the creation of as a publisher and editor-in-chief for Marvel). For me, Stan’s greatest work will always be his epic run on Fantastic Four with Jack Kirby. To be honest, they defined the word epic for me, with tales of gigantic cosmic beings and enthralling alien races. There was a sense of wonder in those old issues of FF, and the tagline of “World’s Greatest Comic Magazine” really meant something to me. The Fantastic Four were so unique because you could have the impending destruction of New York at the hands of an underwater tyrant juxtaposed with Johnny feeling underappreciated by his family. A maniacal ruler was a jealous genius with mommy issues. 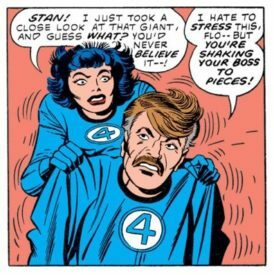 Even Reed and Sue, who seemingly had an idyllic relationship, had a complicated dynamic that took time to work through. By subverting the expected norms of the comic book medium at the time, Stan and Jack made a magical book that surpassed all others of the time, and which will forever be embedded in the bedrock of the Marvel Universe. I must also mention the delightful charm of an odd What-If? that reimagined Marvel’s Bullpen as the famed fab foursome, with Stan subbing for Mister Fantastic. 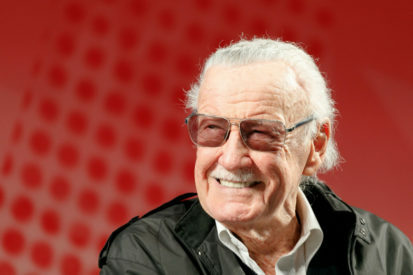 Ultimately, Stan Lee’s legacy is that he led the charge to create a world of wonder that countless other creators would play in and expand on over time. His creativity and excitement for larger than life storytelling was appropriate for a man who himself was larger than life. Millions mourn in the wake of his passing, but those same millions are inspired to be better people through his work. Stan Lee was a symbol of hope and good that guided many generations to be their best selves, and that made all the difference. So thank you, Stan. Thank you for Beast, and She-Hulk, and M.O.D.O.K., and Nick Fury, and Cyclops, and Ant-Man, and Thor, and Falcon, and Spider-Man, and J. Jonah Jameson, and most importantly, thank you for being you and making it possible to believe in excitement, heroism, and marvels. ‘Nuff said!